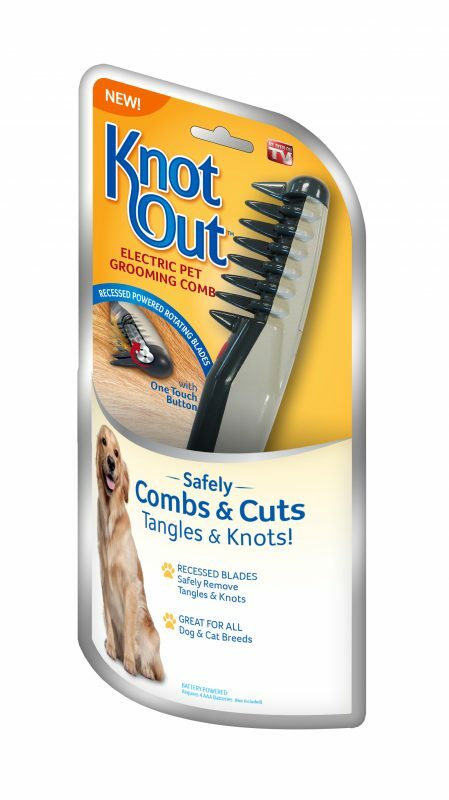 Knot Out™ Electric Pet Grooming Comb is the ultimate pet grooming tool! Powered rotating blades safely remove tangles and mats with just a touch of a button. Recessed blades comb and cut out tangles without coming in contact with pet’s skin. Knot Out™ leaves your pet’s coat groomed and smooth and is great for all dog and cat breeds!